YRP have a very prestigious guest on their show tomorrow morning. 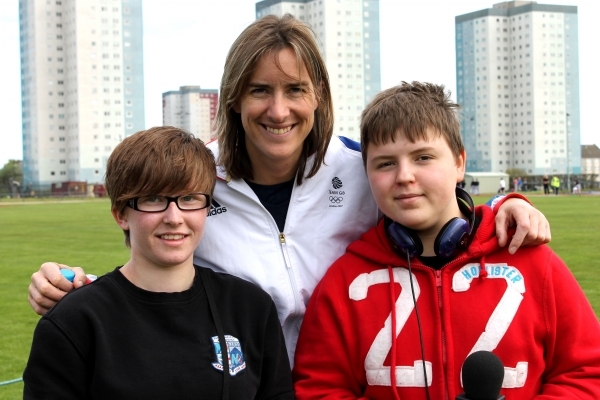 Katherine Grainger, Olympic Gold Medal winner was interviewed by Emily and Glen from YRP. Naturally, the team were very excited about interviewing Katherine and had a tough time narrowing down the amount of questions they had to ask! The team attended the Youth Games event at the Sports Village in Aberdeen, with Sir Ian Wood and a host of young athletes and their supporters. Katherine attended the event as the star guest and spent lots of time with the young people attending, before watching the event from the stands along with Sir Ian and the young people who had come to cheer the contenders along. As well as being a renowned Olympian, Katherine is the only female athlete to gain medals in four consecutive Olympic Games and was awarded a CBE for services to rowing in 2013. To find out whether Katherine prefers her Gold Medal or her CBE, listen to the show live from 10am tomorrow morning, or listen here if you missed it.